It’s been a busy week of news regarding the poisoning of Flint’s drinking water by the Snyder administration, so much that it’s simply not possible to post separately about each one. That’s where the news round-ups come. So here is a compilation of the latest news coming out of Flint and Lansing. The City of Flint recently sent out the attached notice regarding violations to the drinking water standards. While the City of Flint states that corrective actions are not necessary, DTMB  is in the process of providing a water cooler on each occupied floor, positioned near the water fountain, so you can choose which water to drink. The coolers will arrive today and will be provided as long as the public water does not meet treatment requirements. This move came during a time when Flint residents were complaining loudly to anyone who would listen that their water was undrinkable and unusable. While the state did nothing to address the residents’ complaints, they quietly and without fanfare made sure their own employees were taken care of. It appears the state wasn’t as slow as we first thought in responding the Flint Water Crisis. Sadly, the only response was to protect the Snyder administration from future liability and not to protect the children of Flint from lead poisoning. While residents were being told to relax and not worry about the water, the Snyder administration was taking steps to limit exposure in its own building. Another day and another example of the Snyder administration’s lackluster response to this crisis. Worse yet, this shows that the response was not only late and so far ineffective, but it was also unequal. Governor Snyder needs to explain to the people of Flint why his administration trucked water into a state building while allowing residents to drink unsafe water. The emergency response in the city of Flint has been critical to ensure every Flint family has access to bottled water, filters, and testing kits,” Snyder said in a news release. “While these efforts have a big impact in the short term, there is still much more work to be done. Both the House and Senate approved the extension Thursday. This is sure to be the first of many such extensions given that literally nothing has been done to replace the lead water lines and plumbing components that are leaching lead into residents’ tap water. “It’s a lot of work to take out pipes, to redo all the infrastructure,” Snyder said. It takes even longer when you haven’t even started three months after first admitting you have a problem and over six months since the problems were made public by Virginia Tech professor Marc Edwards and his team. Last week, President Obama announced that the federal government was sending $80 million to Michigan, largely to help deal with the catastrophe in Flint. “We’re going to have that funding available to you by the end of next week, and that includes $80 million for the state of Michigan,” Obama told a gathering of mayors at the White House. However, Lt. Gov. Brian Calley says the amount for Flint is far less, just $17 million of the $80 million. State officials are now talking to federal agencies to see if Michigan can get the rules of the program changed to provide additional aid to Flint. Federal officials did not immediately respond to a message for comment about Calley’s remarks. So, it’s not really the windfall that it first seemed and, when it’s all over, Flint will need to pay it all back. $675,000 for the Genesee ISD to hire nine nurses, boost parental communications, fund wraparound service coordination and provide students with more fresh fruit and vegetables, which can mitigate the effect of irreversible lead damage. Still nothing being done to replace lead water lines and lead-containing plumbing components, however. UPDATE: Gov. Snyder signed the legislation this afternoon at a gathering of the Michigan Press Association in Grand Rapids. No point in wasting a good public relations opportunity with lots of reporters around, I suppose. U.S. Sens. Debbie Stabenow and Gary Peters and U.S. Rep. Dan Kildee are planning to introduce legislation that would send $400 million in federal dollars to Flint to begin replacing vital infrastructure. Additionally, the proposal would fund a new “$200 million Center of Excellence on Lead Exposure to research the immediate and long-term needs of children and adults exposed to lead and communicate with the community”, according to Sen. Stabenow. Democratic U.S. Sens. Gary Peters and Debbie Stabenow plan to offer an amendment to a bipartisan energy policy bill with the goal of jump-starting the process of repairing or replacing lead services lines contributing to the contamination of drinking water in Flint. The amendment would provide up to $400 million in federal emergency funding to the Environmental Protection Agency to help fix Flint’s water-supply infrastructure, hire new personnel and cover the cost of technical assistance provided by the EPA or its contractors. But the plan may face an uphill battle in the Republican-controlled Senate, where GOP members are pressured by conservative constituents to rein in the growing national debt. The emergency money, provided through the Drinking Water Revolving Loan Fund program, would have to be matched dollar-for-dollar by the State of Michigan — whether it’s $50 million or $400 million, the lawmakers said. “While we all have sympathy for what’s happened in Flint,” responsibility primarily lies with state and local governments in Michigan,” he said. “Given that we have $19 trillion in debt, I think it’s fair to ask, do we want to have the federal government replacing all the infrastructure put in place by cities and states all across the country?” Cornyn said at the U.S. Capitol on Thursday. The only surprise here is that he didn’t suggest that a tax cut was the solution to the problem. Citizens outraged over the lead contamination of Flint’s drinking water continue to submit petitions to recall Gov. Rick Snyder, but so far, none has cracked the code of a toughened 2012 state law that requires every stated reason for a proposed recall to be clear and factual. On Thursday, during a meeting at the Lansing Center, the Board of State Canvassers rejected two efforts to start recall petitions against Snyder. Somewhere in the back halls of the state legislature, Republicans are high-fiving each other at the success of their 2012 anti-recall law. Gov. Snyder’s approval ratings are tanking. Big time. A new EPIC-MRA poll shows that Michiganders are quickly souring on his “leadership” of our state. 58% gave him a negative job-approval rating and 69% think he’s doing a terrible job managing the crisis in Flint (including 49% of Republicans) with only 21% giving him a positive grade. However, only 29% think he should resign. Given that tea partier Brian Calley would become governor if Snyder resigns, I’m inclined to agree that he should stay in office and clean up the mess his administration has created. His tanking approval numbers are probably why Gov. Snyder got got heckled out of an Ann Arbor restaurant this week. It’s probably why there are also “Wanted” posters popping up around his $2 million condo on Main Street in Ann Arbor. The U.S. House Oversight and Government Reform Committee will hold a hearing on the poisoning of Flint’s drinking water next Wednesday, February 3rd. However, Gov. Snyder will not be invited. A U.S. House Oversight and Government Reform Committee spokesperson confirmed Wednesday that the panel will hold Congress’ first hearing on the Flint water crisis next Wednesday, Feb. 3. Gov. Rick Snyder will not be among those invited to testify, however, said the spokesperson, who did not want to be named because public notice of the hearing hadn’t yet been sent out. The office of U.S. Rep. Brenda Lawrence put out a statement Wednesday afternoon saying she was “outraged” by Snyder not being invited to testify before the committee, saying he played a “central role” in the crisis. In a related story, House Rep. Gretchen Driskell, the Democratic candidate in Michigan’s 7th Congressional District, is asking why current MI-07 Congressman, Tim Walberg, a member of the House Oversight and Government Reform Committee, isn’t demanding that Gov. Snyder give testimony. “I am disgusted that Congressman Walberg is allowing Gov. Snyder to sit at home while his very own Committee supposedly ‘investigates’ the government failures that led to the ongoing crisis in Flint,” Driskell said. “Not only did the poisoning of children happen on Congressman Walberg’s watch, but he is now refusing to hold responsible the very politicians directly involved. 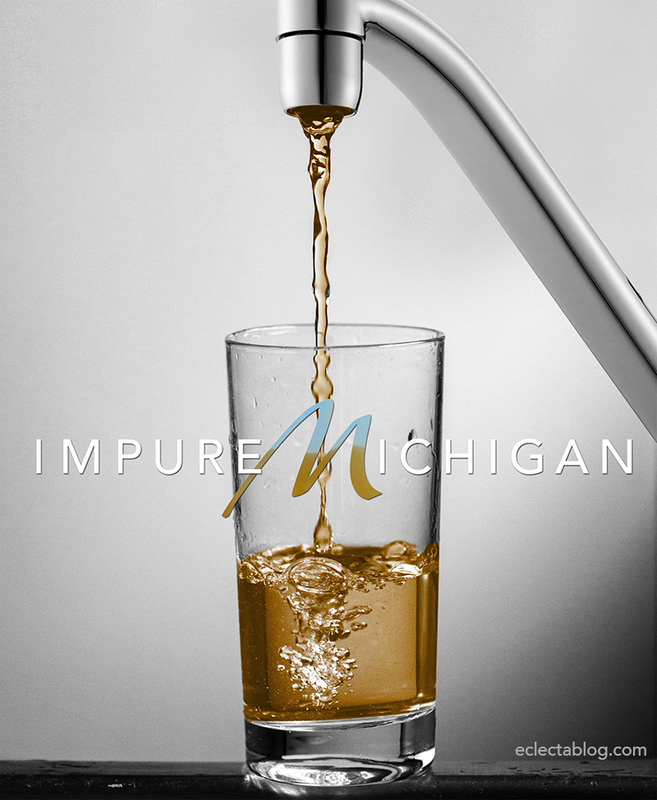 Water accessibility issues in Michigan are again attracting the attention of the United Nations, which next week will hear testimony about shutoffs in Detroit and the lead contamination of Flint drinking water. A Detroit-based activist is expected to address a forum of the UN Commission for Social Development’s annual meeting in New York. The international group has 17 global goals for the next 15 years, including access to water. “All eyes are on Detroit and Flint now: We live in a developed country, developed cities, but we’re living in Third World conditions,” said Beulah Walker, chief coordinator of the Detroit Water Brigade, a nonprofit that delivers bottled water to city residents. She is scheduled to speak Feb. 2. Another Detroit-based activist, Justin Wedes of Occupy Wall Street, also is expected to attend the event that features numerous topics and dozens of worldwide activists. Wedes said activists also are seeking an audience with the U.S. Mission to the UN.